Look at that – we go to bed here in Europe and those crazy Californians go and changed the world. Or should we say, the technological world – Steve Jobs donned that turtleneck and did the thing he does best, up on the stage at the Apple WWDC (Worldwide Developers Conference). There showed us a whole host of things, but just LOOK at that iCloud! “Everything happens automatically and there’s nothing new to learn. It just all works,” said Steve Jobs at last night’s presentation, music to the ears of those of us sick of moving files between devices. The iCloud is the thing that will make it possible to seamlessly synchronise all your devices – it won’t matter whether it’s your laptop, your tablet or your mobile. Your documents, photos and music will all be there, and crucially it will be the same version. There are apps that do this for us already, but Apple’s version will do it all automatically and seamlessly, we’ve been promised. 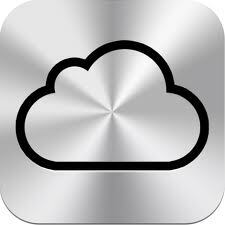 The iCloud will be available this autumn. Both Google and Amazon have launched cloud services for music in the past months, but a lack of co-operation from record companies has kept things from running smoothly. Apple’s service will let people listen to all their songs bought online, and if you pay $25 a year, you can use the service to access any song on your computer. Apple also announced new iPhone software last night, launching the iOS 5. 200 new features have been baked into the new operating system, including iMessage, similar to the popular BlackBerry Messenger system. Other treats include an improved notifications system, location-specific reminders (it will remind you to take with you the rubbish when it senses you leaving the flat! ), and Twitter has been integrated to make it easier to use from a handset. Safari for mobile has also got a facelift, with new additions such as tabbed browsing and a reading list where you can save things to look at later. The iOS will run on any iPhone launched after June 2009, and be available this autumn. More details on Apple’s new goodies can be found over at TechDigest, where editor Gerald was up past bedtime to bring us the latest news as it happened. More details on iOS 5 can be found here, and click here for the in-depth goods on the iCloud. Also, make sure to check out his detailed article on the features of the OS X Lion.